“This is the biggest prayer and worship meeting at Columbia University!” boasted the young Muslim student. “We have priority to pray in this room every Friday at noon,” he continued. We knew it wasn’t a “coincidence” that the room we booked for our prayer meeting at Columbia University was double-booked with Jumu’ah (the global Muslim prayer meeting which happens every Friday at noon). Our team watched as a stream of 200 Muslim students and professors filed through the door, rolling out their mats for prayer. Despite the fact that we had already set up our sound system for the evening prayer meeting, we packed it up and waited in the lobby below, thankful we had permission to use the room after Jumu’ah. Our team was both grieved and provoked by this young Muslim man’s words. A campus with the founding motto “In Thy light we shall see light” now has a 200 person Muslim prayer meeting, larger than any Christian prayer meeting on campus! This wake-up call for the Church is one of the reasons we feel the urgency for the university campuses of America. If 200 Muslim students can give an hour (or more!) of prayer every week to Allah, what can Christian students offer? It is time for the Church to raise up a house of prayer, that transcends geographical boundaries and contends against every house of prayer that sets itself up against the rulership and Lordship of Jesus. The irony of our prayer meeting and the Muslim prayer meeting vying for the same room on campus is a clear picture of the battle raging in the heavens. We do not wrestle against flesh and blood, but against the rulers, against the authorities, against the powers of this dark world and against the spiritual forces of evil in the heavenly realms. (Ephesians 6:12). We are not fighting against those Muslim students, but rather against the spiritual powers of darkness that seek to claim the campuses of our nation, and blind the eyes of the youth of America from seeing the beauty of Christ. That night at our prayer meeting with believers from across Columbia’s campus, our team joined the students in crying out to God for their campus. Many wept on their knees, asking God to bring salvation to their peers and professors. Though there were far less than 200 gathered, we knew God’s ear was turned toward these students and he was responding to their impassioned prayers with his own burning desire for that campus. 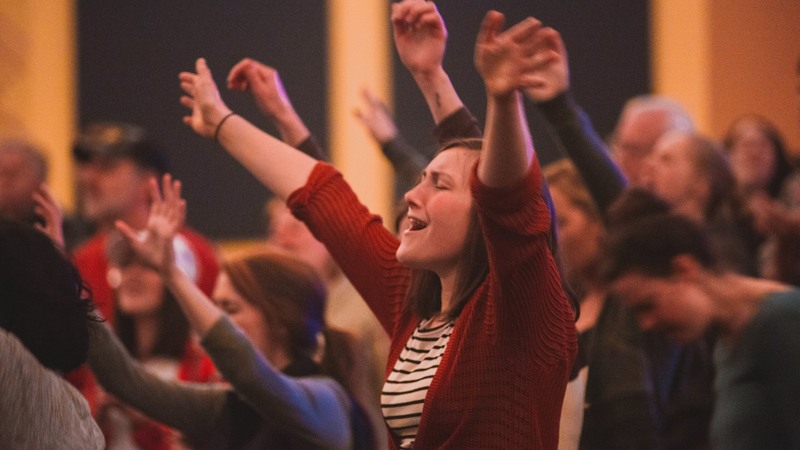 One day, the largest prayer and worship meeting on Columbia’s campus will be for Jesus because he is worthy of the worship and devotion of every student on every campus. Columbia University – in Thy light you will see light once more! If you would like to learn more about campus ministry and the Blalock family, Click Here.